We are always looking for volunteers to help out at these events, to help please fill out the form on our Volunteer page by clicking here. Note that you do not need a police check in order to help at an event. Your IPS School Council periodically hosts speaking events, and our previous events were great successes. If you missed them, you can still find the information below. Jennifer Kolari, Connected Parenting gave some wonderful insights in her presentation on: 'How to raise a great kid'. Click here to see Jennifer Kolari on YouTube, or visit Jennifer Kolari's website. Got some time to help out at IPS? Great! 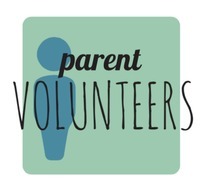 We love parent volunteers. You can volunteer at any event without a police check! Click here to explore volunteer opportunities. In order to volunteer in the classroom you must have a current TDSB approved police check. If you submitted a police check last year, you must do your annual declaration with Mr. Woolford. Please contact the school office at 416-393-1910 for details.